What’s the most powerful system in your body that you never hear about? The lymphatic system. It’s the clear liquid that surrounds the cells of your body. Except for cartilage, nails, and hair, your entire body is bathed in lymph. 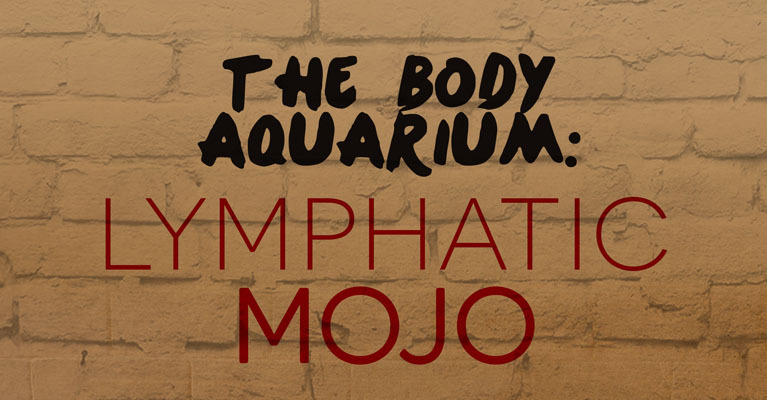 You are literally swimming in lymphatic fluid, so its nickname is the Body Aquarium. If you have a chronic pain or illness like Lyme, Fibromyalgia, Chronic Fatigue, IBS, Crohn’s Disease, etc., you will have a lymphatic problem. You just need to discover how much. About three years ago I was very sick. I had many health issues and felt like crap all the time. I supposedly got better by medical standards, yet still felt terrible. Feeling bad was my new normal. When you get so used to feeling awful you just assume that’s the way it is. You forget what good feels like. Well, you don’t have to suffer. My illness helped me discover why I felt so terrible and why nobody in medicine could help me. My lymphatic system was a complete disaster. You might be surprised to discover healthcare providers get very little education about the lymphatic system’s role in poor health. I learned all I could about the lymphatic system and brought myself back to feeling amazing again with what I am about to show you. Ever wonder why chronic pain doesn’t get better despite all your therapy and medications? Your lymphatic system may be the problem. If the body can’t rid of cellular waste during the healing process, the inflammation simply stays in the tissues causing pain. If it can’t get out of the body, you can’t get better. Feeling hopeless, tired, fatigued, poor concentration and overwhelmed with lack of progress in your recovery? You need to check your lymph and I’m gonna show you how. The lymph is connected to your brain and your brain can’t function optimally when the lymph is dysfunctional. As a Go Pro Member you instantly receive discounts to all primal workshops forever.